Linking a contact to an existing organization. 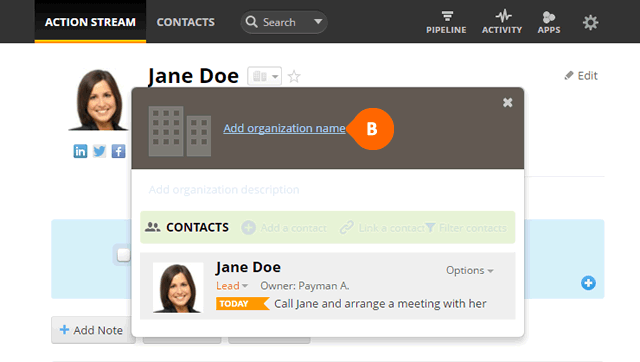 Linking a contact who does not have an organization. Open up Contact view and select the organization icon (see A). Select Link a contact from the popup (see B) and begin typing the name of your contact into the search bar. If the contact already exists in OnePageCRM, suggestions will begin to appear below the search bar (see C). Choose your contact and select Link. Open up Contact view and select the grayed-out organization icon (see A). 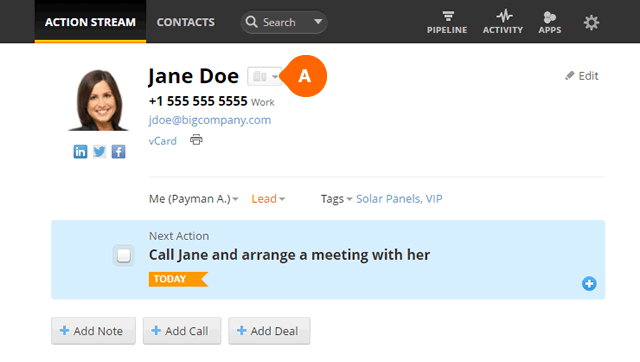 Select Add organization name from the popup (see B) and begin typing the name of your contact's organization into the search bar. Click Save to create this organization name. 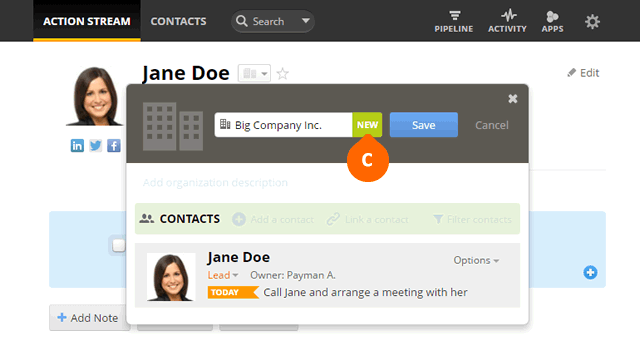 Open up Contact view and select the organization icon (see D). Select Link a contact from the popup (see E) and begin typing the name of your contact into the search bar. If the contact already exists in OnePageCRM, suggestions will begin to appear below the search bar (see F). 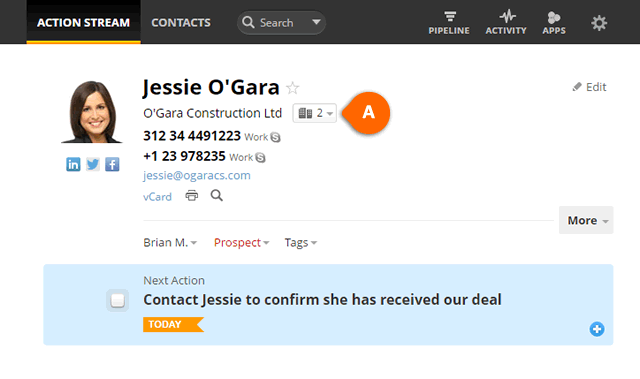 Linking a contact to an organization is usually only done when the contact does not work for that organization but may be involved in a deal with it. An example here would be linking an architect to a construction company for a building project you are working on. 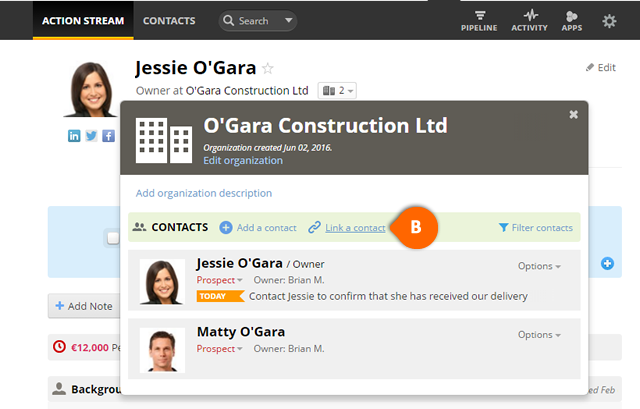 For more information on how to access the list of all contacts under an organization, check out the Working with organization account (Account View) help article.